Every large bus used for charters, tours and to drive school children is a force to be reckoned when sharing the road. 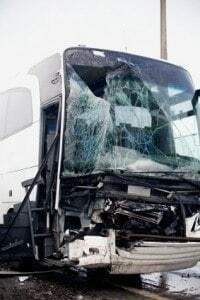 The Federal Motor Carrier Safety Administration reported over 11,000 accidents involving buses in 2008 with an estimated 24,000 people injured. With over 800,000 registered buses on the road, these large vehicles can be dangerous not only to those riding inside but to other cars, motorcycles, bicycists and pedestrians. Tire blowouts. All tires have weight restrictions and maintenance requirements to ensure safety. Buses that are overloaded or lack tire maintenance are at risk for blowouts that can cause severe accidents on the road. Stopping distance. Heavier buses have a longer stopping distance. Motorcoaches and charter buses carrying passengers and luggage are usually heavier than a driver may expect, The excess weight has different dynamics than when empty when the bus needs to stop quickly. Rollover accidents. Buses are already top heavy due to their design and construction. The bus can be at risk for a rollover if loaded improperly or with uneven weight distribution. Not only do bus accidents endanger those on the bus, but they also are a danger to other vehicles on the road, bicyclists, and pedestrians. If the driver loses control or cannot stop in time, these massive traveling behemoths can injure or kill those in its path. Buses may have a particular danger for pedestrians and bicyclists due to the lack of driver visibility. Just like large trucks, buses are elevated higher and have restricted lines of sight for the driver. This can cause large blind spots where the driver is unable to see those around them, especially pedestrians and bicyclists. Most fatalities in school bus accidents involve children hit by the bus and not while riding the bus. In a ten-year period, 73% of the fatalities involving school bus crashes were due to the child being hit by the bus when on foot or riding their bicycle. Considering that school bus drivers are aware that children are approaching or leaving the bus and still hit them when they are out of view is indicative to how dangerous any bus can be to pedestrians. If you are the victim of a vehicle or pedestrian injury accident caused by a bus, you are entitled to receive compensation for your injuries. Bus accidents can be complicated because there may be more than one party responsible. An attorney working on behalf of the victim will likely need to investigate that crash to determine who is liable. Our team at Rosenfeld Injury Lawyers LLC is dedicated to serving our clients in obtaining the financial compensation they deserve when injured in a bus accident. 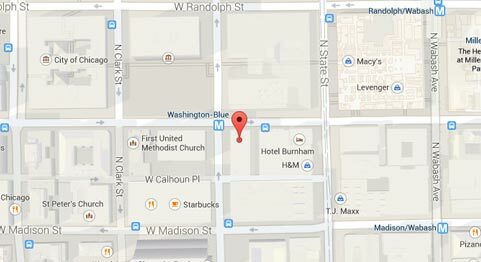 We invite you to meet with our Chicago bus accident attorneys for a free consultation to discuss what options are available in your case.